Endodontist by specialization; he has authored an extensive and comprehensive book on Lasers in Dentistry. A good speaker he has experienc of more than 12 years in operating Laser of various wavelengths. Prof. Roleand De Moor, MSc., PhD. He is into private practice at Belgium. A graduate from Nair Hospital Dental College,Mumbai. 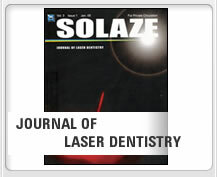 Took keen interest in Dental Lasers and introduced Hard and Soft tissue lasers in India in the year 2000. Alongwith Dr Anil Shah completed the Masters’ degree certificate from Vienna in 2004. First one to introduce Lasers in South Gujarat. He has all the Lasers – soft tissue & hard tissue at his private practice in Surat. More than 10 years of experience in Lasers applications. Oral Surgeon, Prof. & Head, Vaidik Dental College, He is faculty on Oral Surgery, especially clinical demonstration on submucous fibrosis, White Lesions & soft tissue tumours. Completed his masters in Lasers from Vienna in 2007. Extensively using Lasers in his Maxillofacial practice. Dr. Vivek Hegde, President, SOLA India is working as a Professor & head, Department of Conservative Dentistry & Endodontincs, Rangoonwala Dental College, Pune. He has done many presentations at the State & the National level conferences. In addition he also has conducted hands on courses in Endodontics in many places. He has authored/coauthered articles published in local, National & International Journal. He also runs a weekend in house Academy called CDE-Endoprostho in Rangoonwala Dental College, Pune. Prof & Post Graduate Teacher, Dept. of Conservative Dentistry & Endodontics, M.A.Rangoonwala Dental College, Pune. He has done presentations and publications at National and International level. He is also working with Janaseva Foundation as Hon. Dental Surgeon and has won many awards for conducting dental camps and for his charitable dental and medical services to the society.